G103 – Provide only one open window e.g. pop up or multiple overlapping windows should be avoided. Provide only one open window e.g. pop up or multiple overlapping windows should be avoided. The use of a single window eases the interaction. 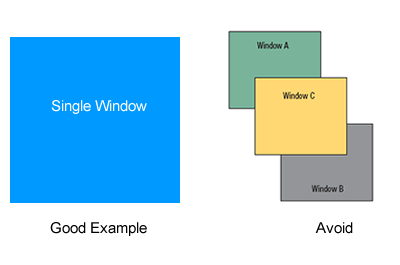 The use of multiple overlapping windows hampers the interaction, so this technique should be avoid. A good example with single window, and example of windows overlapping that should be avoid. G90 – Use the full screen for the program. Use the full screen for the program. The use of full screen mode offers a bigger interaction area, which allows the design of the controls and text displayed with bigger dimensions, very appreciated by older users. 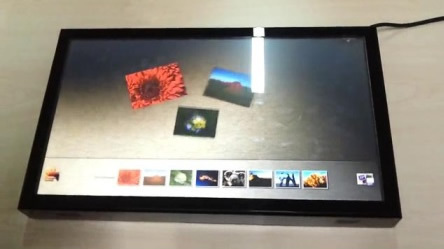 An application in fullscreen mode. Content, Elderly, Layout, Screen, Windows. G70 – Maintain consistency in the user interface. Screen layout, navigation and terminology used should be simple, clear and consistent. Maintain consistency in the user interface. Screen layout, navigation and terminology used should be simple, clear and consistent. 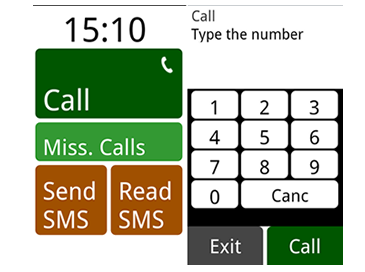 The positioning of the interface elements on the same position in the screen will help the older adults, once older adults have reduced short-term memory. Center of the screen is privileged to give emphasis, increasing the likelihood of user notice the information. Examples of consistent menus with a similar visual appearance. Content, Design, Elderly, Layout, Navigation, Screen. G69 – Avoid the use of scroll. Avoid the use of scroll. Conventional user interfaces resort often use of scrolling to display content that cannot be displayed on one screen. In touch-screen interfaces used by the elders this technique should be avoid, not only by their declining working memory that may cause the losing of the context of the task but also because using scroll bars implies hand-eye coordination may be difficult to performing by some older users. 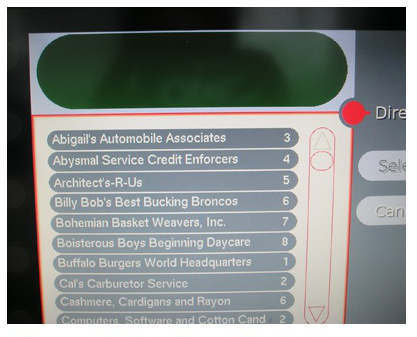 An example of scrolling use in a touch-screen interface that should be avoid. Content, Elderly,Layout, Memory, Motor, Screen, Scrolling, Windows. G67 – Remove user interface elements calling attention as soon as they are not needed. Remove user interface elements calling attention as soon as they are not needed. Animations are examples of interface elements that call attention of the user. In the case of older adults it is difficult ignore the distractions caused by this element. For this reason, animations and other similar interfaces elements that calls attention should be removed. An example of an animation that should be avoid.